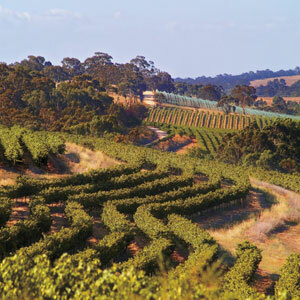 The Cellars are nestled among the vineyards close to St Aloysius Church and feature a picturesque grassed picnic area complete with tables, seats and shady trees. Visitors are welcome to share history in the grounds and to wander through the old cellars, church and crypt. The Jesuits, also known as the Society of Jesus, migrated to Australia from Austria in 1848 seeking a life free from religious and political persecution. 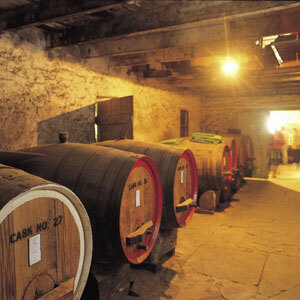 They established Sevenhill Cellars in 1851, the oldest existing winery in the Clare Valley. 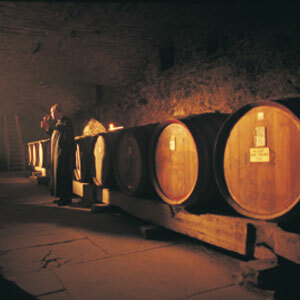 Initially the main purpose of the cellars was to provide sacramental wine for religious use and this has been ongoing accounting for approximately 20 per cent of production. The property produces all its own fruit on more than 70 hectares of vineyard. Twenty varieties of grapes are grown yielding a yearly crush of approximately 500 tones, which is completely progressed on property including the bottling of finished wine - approximately 30,000 cases per year.